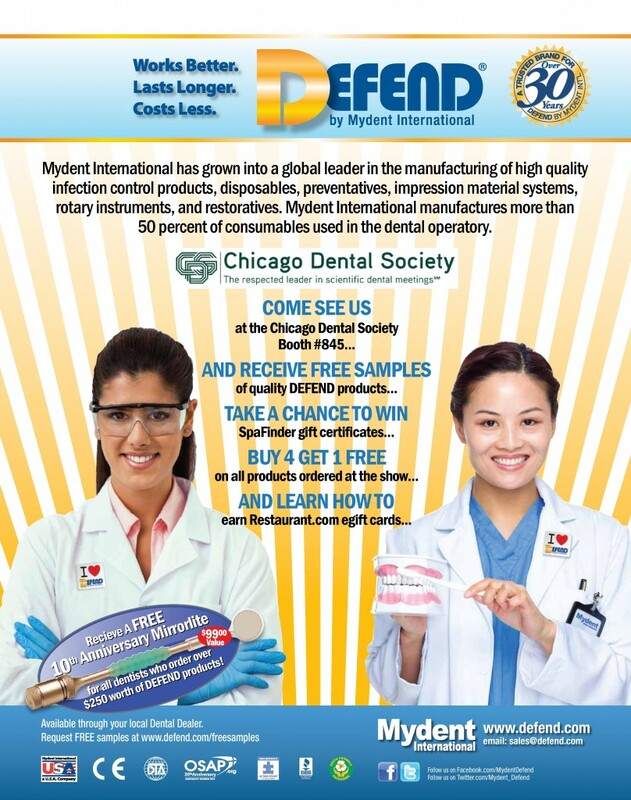 Mydent is pleased to attend the upcoming Chicago Dental Meeting. New products from Mydent International include Carbide and Diamond Burs, Curved Utility Syringes, Bendable Tapered Applicator Brushes, Disposable Bib Holders, Fitted Sensor Sleeves, Topical Anesthetic Gel and DEFEND+PLUS Jackets and Lab Coats now available in white. The meeting will be held at McCormick Place West, Chicago, Booth #845. To learn more about the meeting, please click here.